Peter Lacny was born in DuBois, Pennsylvania. 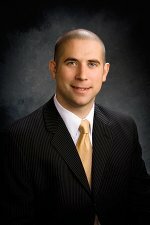 He gratuated with honors from the University of Montana School of Law in 2006, and earned his degree in history from Montana State University in 2002. His practice is focused on state and federal criminal defense at the trial and appellate levels.